Tirana is the capital of Albania, a small country in southern Europe. Albania is full of history and in the recent years has been a top destination for curious tourists around the globe. Lonely planet for years has ranked it a favorite destination for it’s pristine beaches and rich heritage. Throughout the 20th century Albania was the most isolated country in Europe. It was under the rule of one of the harshest communist dictatorship regimes. After the fall of communism in the 90s Albania slowly began to rebuild itself. Cities, especially Tirana, were developing at high speed and not necessarily harmoniously since of strong population movements from the countryside to the cities. 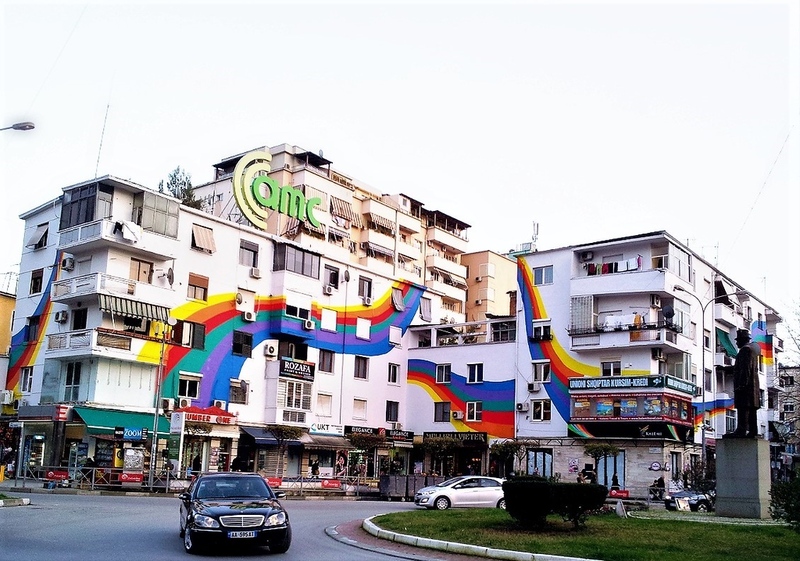 During the 2000’s under the impulse of politics, but also individual initiatives, Albania began to be covered with bright colors in order to hide the misery of a rickety urbanism and the sadness of old communist buildings. Institutions, houses, shops started displaying their colorful facades, and it is not uncommon to see an apple green mosque or a neon pink clinic. 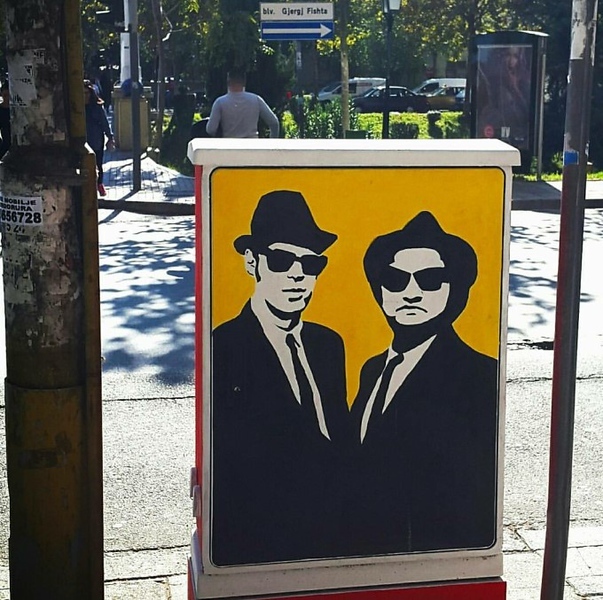 Surprisingly, while many neighboring countries already have a very famous street art scene, particularly that in Belgrade, Serbia the street art just recently developed and is mostly located in Tirana. 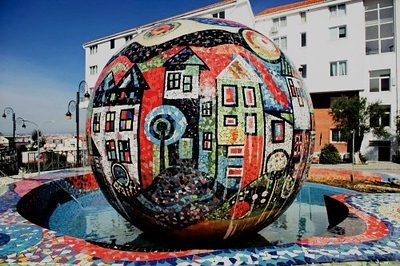 The place of art in the urban space is very institutionalized in Albania because of its communist past where sculptures and mural frescoes were at the service of the regime’s propaganda. 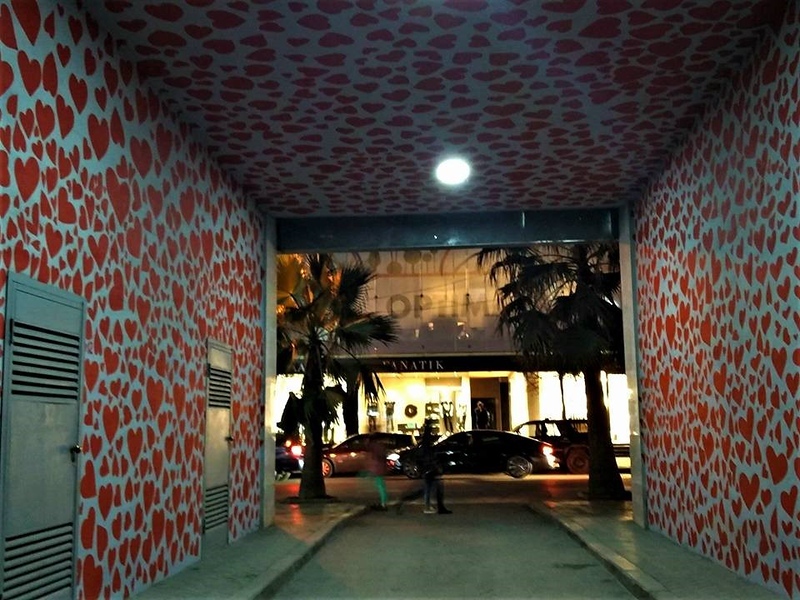 In addition, today Albania has a wacky artist for a prime minister, who tries to give an artsy and modern image to the capital (while trying to erase another) installing some colored contemporary artworks here and there. As a consequence many young artists and associations began to reclaim the streets in response to this institutionalized art. They also started using street art to show their opposition to the political world and at the same time to turn it into derision. 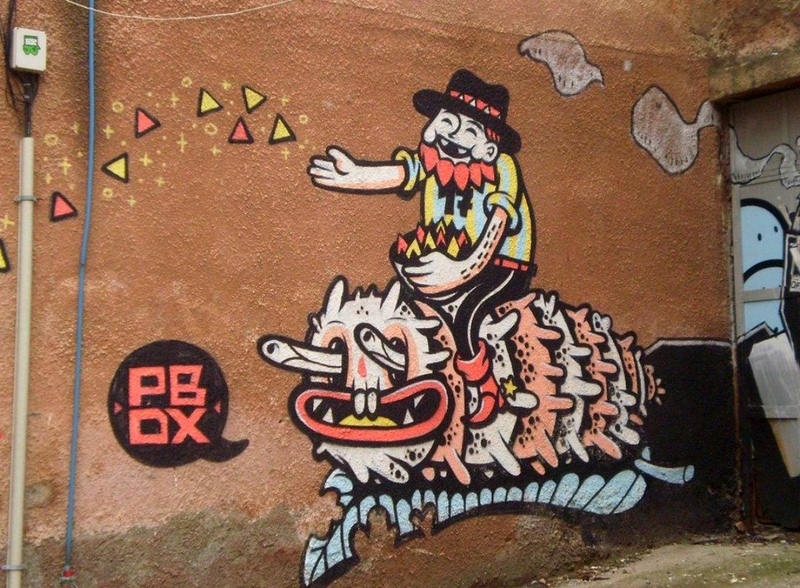 That’s why street art in Tirana is varied. It takes different forms, uses various materials and ways, and it’s often political even if it seems at first sight only decorative. Albania has one of the youngest age average populations in Europe; thus, a young generation of artists is slowly creating their own artistic identity, which is a harmonious mix of their cultural heritage and global trends. A special thanks goes out for our latest guest writer Elsa from The E World. 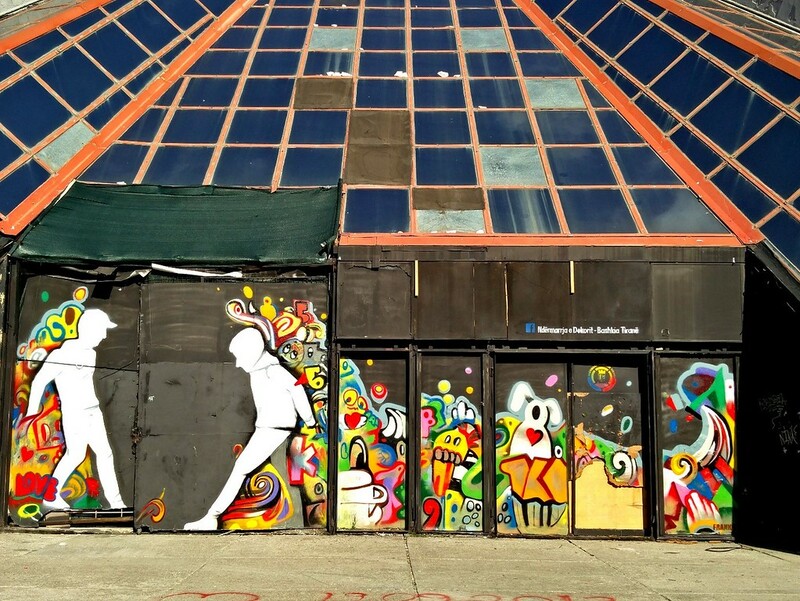 If you would like to be a contributor to Street Art Chat, feel free to submit your work here. 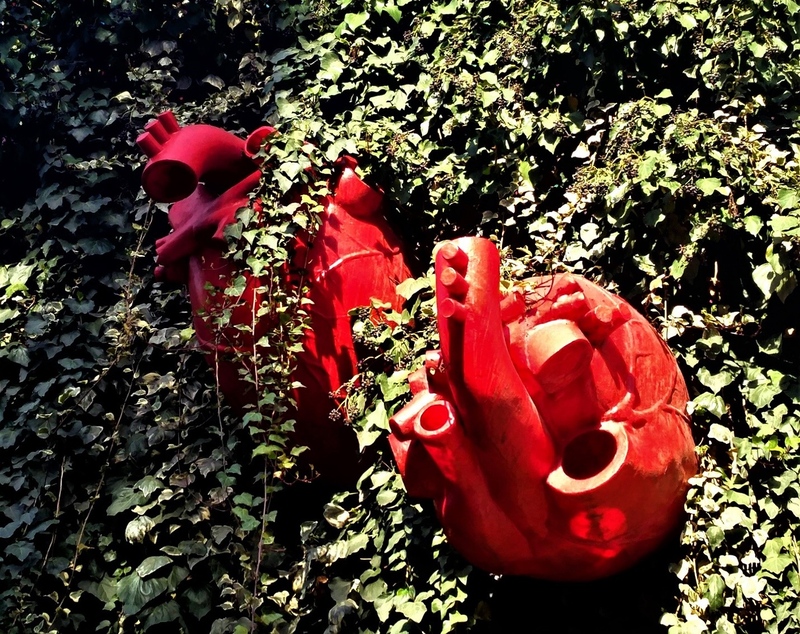 Curious Catz is a French-English blog for the Curious about places, cultures, urban arts & more. It is more about exploring than travelling. Life is journey and adventure and wonder are around the corner. Follow me! 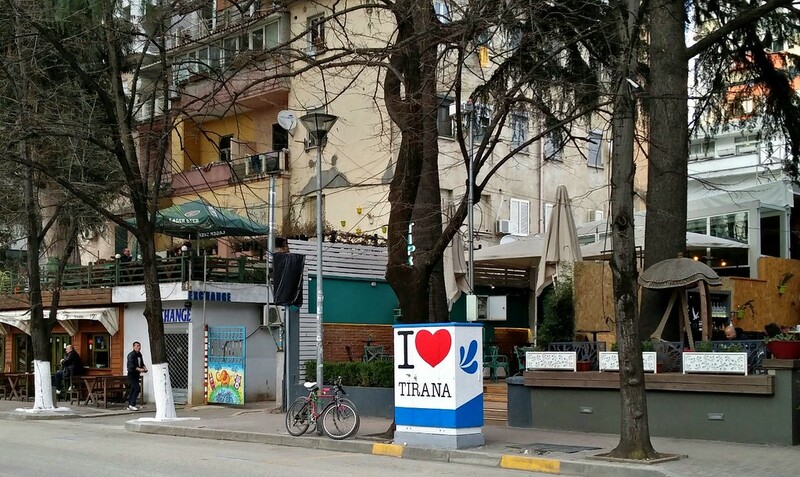 Wow, had no idea about Tirana but it’s definitely on the list now! Love that one with the hands and the heart in particular. And how funny that the Blues Brothers are there too! Fun post! 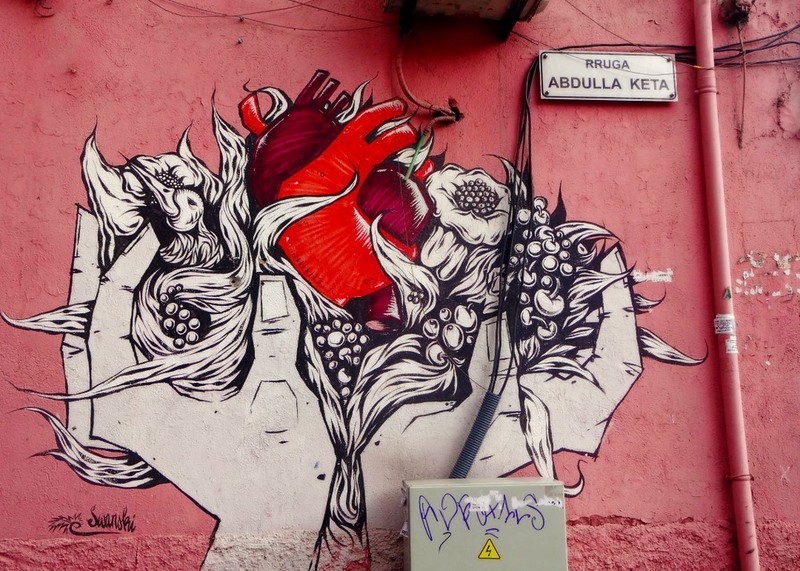 It always amazes us about how much street art is all over the world. Really glad you appreciate finding art as much as us. The Blue Brothers piece gave us a chuckle too. Thanks Lynn!